K9 Vader is in need of a kennel, door pop + heat alarm system, multi-threat vest, and a Ranger K9 Trauma Kit. Donate today to make this grant possible! Here’s how this equipment both helps Vader and Officer Silgjord on the job. The door pop allows the K9 handler officer to remotely unlatch the door so their K9 may exit the squad car and come to their aid, should a call for service take a turn for the more dangerous; while, the heat alarm system monitors the interior air temperature of the squad car and sets off the sirens, lights, alarms, and rolls down the windows of the car to help ensure that a K9 doesn’t suffer from heat trauma if the temperature rises into a dangerous threshold. A multi-threat vest protects against standard issue caliber rounds for common guns and offers additional protection for stabbing weapons, like prison shanks or other blunt force puncture objects. The vest is inserted into a carrier made of a rip-stop material that helps to deflect punctures as well. This vest provides the same level of protection that the human counterparts of these K9s are required to wear for their job. The Ranger K9 Trauma Kit provides sterile, veterinary grade, K9-specific supplies to assist an officer in providing aid to their K9 in the event of an on-the-job incident or injury. This kit includes a canine oxygen mask, along with other first aid items, a quick reference sheet for K9 vitals and dosing, and comes in a heavy-duty, canvas bag which is embroidered with emblems ensuring that it is easily identifiable for K9 use. 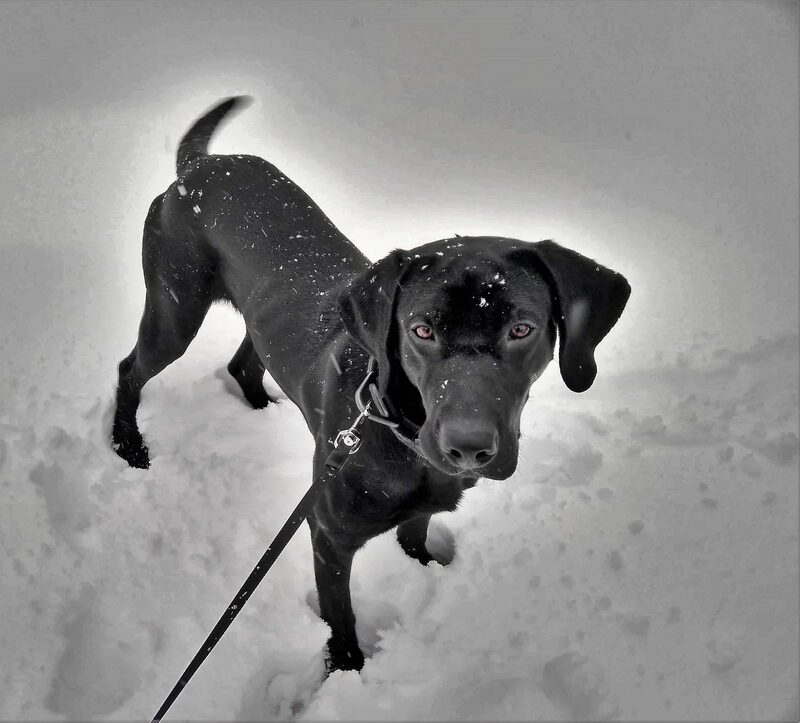 K9 Vader is a 17-month-old British Labrador Retriever certified in Narcotics. He is assigned to Officer Laci Silgjord of the Cloquet MN Police Department. Vader is the newest addition to the department and has been on duty since December. He will also be involved in community events, school visits, and much more. Vader is quirky and rambunctious and the department is delighted to welcome him to their family!